With health insurance premiums set to rise again in April 2019 and many health funds reducing their benefits in response to the government reforms, you might be wondering which private health insurance company is the best in Australia; which one can you trust to protect you and your family from unexpected medical expenses? There is no 'one best private health fund' that will satisfy everyone's requirements all the time. It's up to you to compare offerings and premiums from the list of health insurance companies available in Australia. The private health insurance industry is growing and becoming more competitive. We’ve updated our list of the top 10 private health insurance companies in Australia based on 2019 market share. Our top 10 list of private health insurance companies is based on market share. Market share shows the competitive position of an insurer by assessing how many Australians enrolled in a particular health fund. When an insurance provider owns more of the market, it usually means they have sold a lot of policies, which might indicate that more people are drawn to their offering, and trust them with their health protection needs. According to the Australian Prudential Regulation Authority (APRA), the 5 largest health funds in Australia account for over 5 million health insurance policies. The higher the amount of policies sold, the more likely it generally is that the health insurer is receiving higher profits, which could lead to lower premiums and more benefits for its members. This is especially true if the health insurer is a not-for-profit organisation, because they don't have any shareholders to whom they pay dividends. Instead, the profits go straight back into the fund to be used for its members. Medibank: 26.9% market share. Has over 40 years’ experience delivering health insurance to 3.7 million customers via their Medibank and AHM brands. Bupa: 26.9% market share. The foreign-owned private company entered the Australian market in 2002 and currently serves over 4 million customers in Australia and New Zealand. HCF: 10.4% market share. A not-for-profit health fund established in 1932, now covering over 1.5 million Australians in 52 locations across the country. nib: 8.3% market share. Established in 1952, nib is an international health partner serving over 1.5 million customers in Australia and New Zealand. HBF: 8% market share. A not-for-profit organisation founded in 1941, providing health coverage to more than 1 million members. Australian Unity: 3% market share. 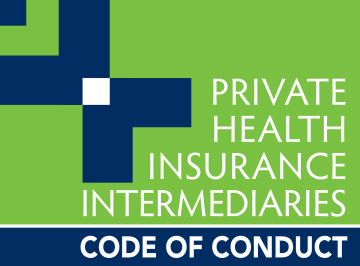 A mutual company owned by its members established over 175 years ago with 194,000 private health insurance policyholders. Teachers Health: 2.3% market share. A private health fund exclusively for the education community in Australia with over 156,000 members. GMHBA: 2.3% market share. Since its beginning in 1934, GMHBA has remained a not-for-profit health insurer, now protecting more than 400,000 Australians. Defence Health: 2% market share. For over 65 years Defence Heath provides coverage to the Australian Defence Force (ADF) and wider defence community, today with more than 131,000 policies provided. CBHS: 1.5% market share. Since 1951 CBHS protects the health of Commonwealth Bank of Australia’s (CBA group) employees and families, with over 100,000 members today. Although price isn't everything, it's generally is a big deciding factor. Every year, at the start of April, health insurance premiums rise. Below is a reflection of how the top 10 private health insurance companies in Australia compare regarding premium increases in the past 3 years. When comparing major private health funds, you might also want to consider how satisfied their customers are with their service and how many complaints the health fund receives on an annual basis. Private health insurance not only helps you avoid the Lifetime Health Cover (loading) and Medicare Levy Loading (MLS), but it's also an essential purchase if you have a health condition, are thinking about becoming pregnant, have a family, or are getting to an age where more medical assistance is required. Covers some or all of the costs for treatments received in the hospital. The protection you'll receive depends on the level of hospital insurance your purchase: Gold, silver, bronze or basic. Provides a benefit for treatments and services received outside of a hospital, for example, optical, dental and psychology. Depending on your fund, you generally have a choice between comprehensive, mid or basic extras. Includes both hospital and extras. Many insurers will allow you to tailor cover to suit your requirements. Take note: You do not have to buy hospital and extras from the same company. Find what works for you, even if that means buying a hospital policy from one insurer and an extras policy from another fund. To determine who offers the best health insurance, you should first decide on the type of coverage you require, for example, a basic hospital policy will most often cover accommodation as a private patient in a public or private hospital but exclude high-cost services like pregnancy. Your chosen health insurance company might use dollar or percentage amounts or both to show how much you can claim for a specific service, for example, $250 per person or 75% of the total costs. A limit refers to the maximum benefit payable each year for a specific service/treatment. Annual limits differ between funds and policies, so make sure that you review the company’s Standard Information Statement (SIS). In exchange for lower premiums, hospital policies generally have co-payments, also known as an excess, wherein you agree, up front, what amount you're willing to pay each day you're in the hospital. Depending on the insurer you'll typically have the choice of zero, $250 or $500 excess. Read what customers are saying about the company, how satisfied they are with their service and how many complaints the company annually receive. Carefully review which services and conditions your provider will not pay benefits towards. With the new health insurance reforms where hospital policies must adhere to a simplified classification system; Gold, Silver, Bronze and Basic, your health fund might decide to exclude or include certain benefits. A cheap policy isn't necessarily a good policy. Make sure first to compare funds that provide the coverage you require and then review their cost. This way you can generally find a good value policy at an affordable price. It's vital that you look at the length of time you'll have to wait before you can claim a benefit, for example when you have a pre-existing condition, you generally have to wait 12 months. Waiting periods can range anywhere from 1 day, two months to a year and are different between insurers. If a health fund owns more of the market, it means that they have sold more policies, which could mean that more people are trusting that particular health fund. Be sure to consider this checklist when comparing health funds so you can find the best health policy suited to you and your family's requirements. Which health insurance company is the best in Australia? There is no best health insurer for every person. As the saying goes ‘you can't please all people all of the time'. Each person and family unit is different, with specific health requirements and budget. The best private health insurance provider for you should be one that you can afford and provides the type and level of coverage you want. In Australia, residents generally have access to free health care, called Medicare. However, to relieve some pressure off the public health system and shorten waiting times, you are encouraged to take out private health insurance, if you don’t, you’ll usually have to pay an LHC loading and MLS fee. In exchange for paying a premium, the private health insurance company pays a portion of your medical expenses. Medicare generally pays up to 75% of your medical treatments under the Medicare Benefits Schedule (MBS). Your private health insurance must then pay at least 25% of the MBS fee. You are then responsible for the remainder of the costs. However, the private health insurance company you choose can pay more than the required 25%. Can health insurance companies exclude pre-existing conditions? No, health insurance companies cannot exclude pre-existing conditions, for example, asthma, cancer, or diabetes, because the Australian Federal Government prohibits it. Private health insurers may not refuse to let you buy health coverage or even to charge you a higher premium because you have a pre-existing condition. They can, however, have strict waiting periods associated with pre-existing conditions. The premium you’ll have to pay for your health insurance policy depends on various factors, including the state you live in, the type of plan you want (hospital, extras or combined), the co-payments you're willing to make and the level of coverage you require (comprehensive, medium or basic). Remember, premiums rise every year on the 1st of April. I am an 83-year-old currently paying over 3,000.00 dollars a year and only getting roughly 200.00 back on glasses and more or less the same with the dentist. I think that this is outrageous as this is the only claims I have had in the last 3 years. I have been in this particular medical scheme since 1973 and I have decided that I am going to drop the fund now, especially as premiums are going up again. I can understand your frustration and I sympathise. I suggest you start comparing private health insurance policies that are specifically tailored toward people over the age of 80. In the meantime, you might want a health insurance consultant to give you a call and take you through all your options so that you can feel confident in choosing a policy that suits your current lifestyle and budget. Simply provide your details in the quote form above to get started. My 48-year-old daughter suffers from Narcolepsy and has severe anxiety attacks. She does NOT leave the house due to her anxiety. I am a widower, aged 77 years, I do ALL the shopping for food. She requires the help of a psychiatrist for her condition, I am prepared to pay for this specialized service. Can you please advise me on which medical provider you would recommend? Please reply to this request as soon as possible, thank you. It was very brave of you for sharing this information, thank you. You might want to start your search by comparing private health insurance companies offering mental health insurance services. To help you find the right cover for your daughter, please fill in the quote form above so a specialist consultant can help you in your decision. Thanks for your comment and congratulations! Let me start by saying that private health insurance funds generally adhere to a strict 12-month waiting period for pregnancy services, which means you would only be able to access the benefits, like medicines and pre-natal classes, after the birth of your baby, which would obviously not make sense. It’s most beneficial to purchase private health insurance 3 months before planning to become pregnant. However, you might want to consider purchasing family health insurance. Children can generally remain on your family policy until they are 18 years old, which might help a lot if they need braces, glasses, their tonsils removed or cover for emergency situations. I am an overseas employee and have been offered a job in Cairns. The employer however is not providing health coverage. I need a basic single health coverage for at least 4 years. I need to know the total yearly cost for this and what is the best option you provide. Thanks for reaching out. You might want to start your search for a 4 year stay by looking at purchasing a working visa health insurance policy type. International workers living in Australia must have private health insurance, because you will not be able to access our public health system. There are many private health funds offering such policies, including nib, Frank health insurance, Allianz, Bupa and Medibank. Also, you might want to have a look at the private health insurance companies in Queensland. I’m a New Zealand Citizen and thinking of working in Melbourne, Victoria, Australia. I ‘m 50 years old this November, married and have a 9-year-old son. What sort of health insurance should we take? I have no existing health conditions. My wife has a cataract operation 3 1/2 years ago and retinal detachment operations nearly 2 years ago on the left eye. Other than that, everything is all good. I have checked on the immigration policies and I’m not qualified to apply for permanent residency, more likely because of my age. Can you PLEASE give me an idea of what sort of health insurance we should get? Firstly, New Zealand has a Reciprocal Health Care Agreement with Australia, which means you and your family are entitled to free emergency hospital care and you can enrol in our Medicare program. Secondly, unlike New Zealand, ambulance services are not covered in most Australian states by public health care. Dental care is also not subsidised by Medicare. Private health insurance might be a good option for you, especially with a young child. Please also note that your wife’s pre-existing medical conditions will not prevent you from obtaining private health care. However, she will likely have to wait 12 months before being able to claim benefits associated with her eyes. You might want to start your search by comparing the best family health insurance companies in Australia. If you would like a specialist to assist you, please do not hesitate to call 1300 786 328. Hi there. I have been in Australia for 5 years and have Medicare, but I am looking for a health insurance which covers mega operations, surgeries, specialists and medicines. Can you please advise me on which medical provider you would recommend? It sounds like you might be referring to a top private hospital cover policy, which is usually the most comprehensive and expensive cover option. Top hospital cover generally covers a range of services, including major heart surgery, cancer treatments and spinal surgery; all services where Medicare pays a benefit. Most private health insurers have a comprehensive hospital cover option. If you would like a quote comparing some of the best health funds available, please fill in the quote form above or for immediate assistance you can call 1300 786 328. Why isn’t HIF included in your list of not for profit companies? While HIF health insurance is a not for profit company, our list of Top 10 health insurers includes all private health funds in Australia. Our top 10 was determined using the highest market share. HIF’s market share in 2017 was 0.9%, placing them at number 11. Our family is currently paying nearly $300/month for private health cover with extras. I recently cancelled a minor gynaecological procedure (that would take approx. 10 mins), due to out of pocket costs totalling $1000! (gap fees totalling $500. Excess for a hospital I knew). I figured why are we paying for hospital cover when you still have to pay exorbitant fees? You cannot doctor shop for low fees without actually seeing them first! How do we manage this situation? Thank you for reaching out and sharing your concerns. Please know, you are not alone. What I would suggest is that you start by reviewing your policy documents and establish exactly what your policy covers. You might determine that you only need a basic hospital plan, but with comprehensive extras cover because perhaps your family needs more coverage for orthodontics, optical and non-PBS pharmaceuticals. Of course this all depends on your specific circumstances, I’m just giving an example. There are many factors to consider when assessing your current health insurance plan and the value it provides. • Compare policies and shop around for lower premiums. • Switch health insurance companies. • Cancel all cover and rely solely on Medicare. Please be aware that if you decide to cancel all private hospital cover that you’ll have to pay the Lifetime Health Cover loading. It is best to speak to a specialist to help you determine what you’re best options are. You can give us a call on 1300 786 328. Which hospital cover is best for oral and maxillofacial surgery? For oral and maxillofacial surgery, you might want health insurance for major dental coverage, including wisdom teeth removal, root canal therapy and jaw surgery. However, a hospital only policy does not cover the fees from a surgery specialist. You would need a policy that includes extras coverage to cover the surgeon’s fees. So, you might want to invest in a combined hospital and extras health insurance policy. Before you commit to purchasing health insurance, ask your surgeon for all the item numbers (surgery codes) that are included in the surgery you require and ask the private health insurer if they cover the cost of these items and what out-of-pocket expenses you should expect. You should also find out your hospital’s preferred health insurance provider because the state you live in might impact on your decision. Please remember, you would have to wait 12 months before you can use the private health insurance if surgery is needed for a pre-existing condition. If you would like to speak to a specialist to help guide you in the decision-making process, please fill in the form above. I am looking for a private health insurance which would cover pregnancy-related services. The company I am working for has a corporate tie-up with Bupa. However, I would like to know which the most suitable private health insurance for my requirement would be and also which one provides the better customer care services. Great question. Please have a read of our article where we compare the best private health insurance companies for pregnancy-related services, including Bupa. Please note that private health funds usually have a 12-month waiting period before you can claim any pregnancy-related services. Hello. I will be returning to Australia after living abroad the last 5 years and seek advice on affordable health cover. My details: Single female, 32 years old, no health conditions and looking for hospital / dental cover (unless you advise on any other cover I need). Any help would be greatly appreciated! Welcome back to Australia. To provide you with help choosing the best health insurance policy for your needs I’ll need a bit more information, for example, whether you’re an Australian citizen and in which state of Australia you’ll be living when you return. Please fill in your details in the quote form above and a specialist will give you a call to help you find suitable health insurance, as well as help you determine if you’ll have to pay the Lifetime Health Cover (LHC) loading. My mother is on a visit visa subclass 600 and has been diagnosed with Breast cancer. I need a 100% fully covered insurance for her. I’m sorry to hear about your mother’s diagnosis. In Australia, all private health insurers must cover treatment for pre-existing medical conditions. However, there is usually a 12-month waiting period before you can claim any benefits regarding a medical condition that existed prior to applying for the policy. You might want to start your search by reviewing health insurance options for visitors visa 600. When you’re ready please fill in the quote form above or call directly on 1300 786 328 and a specialist can help you find what you’re looking for. My family and I (wife and two young daughters) currently have cover with Health.com.au. I have had to attend the Chiro / Physio more than usual this year and have now used up all my entitlements, with 6 months still to go. This means I am now paying full price for every consultation. I was hoping that I can increase the level of cover for specific areas i.e. Chiro / Physio and reduce the cover for other areas which I have never needed i.e. optical. Are there any funds which allow movement between such areas which I can alter throughout the year? What provides the best cover for the best price? I could not find any instances where increasing certain areas of your cover and decreasing others are permitted by private health funds. As I am not aware which health.com.au package you have or where in Australia you reside, you might benefit from comparing private health funds to find one best suited to your family’s needs, as well as provide a high level of cover for Chiro and Physio. However, when switching health funds for a higher level of cover you might have to serve a waiting period before you’re able to claim benefits. I am a 48-year-old man. I need to do my haemorrhoid operation and further only require good dental coverage. Aside from this, I am very healthy. Hi, Suan. Thanks for reaching out. To provide you with appropriate health insurance quotes, we need a bit more information, for example, do you require general dental coverage or more extensive treatments, like crowns and root canal therapy. Please fill in the quote form above and a specialist will assist you in comparing policies most suited to your circumstances. Please also note that for any pre-existing conditions, like a haemorrhoid operation, most private health insurance companies require a waiting period of 12 months before you can claim such benefits. My name is Jaimin Shah. What is the best health care plan for foreigners who come to Australia on a long-term work permit? I am from India and I am coming to Australia on a long-term work permit (visa subclass 457 or similar). My company, where I am working right now, is processing my work permit. None of us has any health issues. I hope above information is sufficient for you to suggest a good healthcare plan(s) with sum assured, monthly & yearly premium charges, benefits, etc. for 3 of us with healthcare provider details. Thank you for your submission. To process your request, please fill in the above quote form. You might also want to review which health insurance providers offer great coverage for families like yours. The cost of your premium will depend on the type and level of cover you choose. I am a UK national in Australia on a de facto sponsorship visa (Subclass 482). As part of the visa I need to get health insurance. Can you recommend a good provider for my situation? If you are a UK citizen, you might be eligible to receive Medicare in Australia because the United Kingdom is one of the countries that has a Reciprocal Health Care Agreement with Australia. That being said, Medicare does not cover all health-related costs, which is why you might want to consider private health insurance. Your choice of health fund should depend on your unique circumstances (age, health and where in Australia you’ll live). Please fill in the quote form above and a specialist will give you a call to help you in the decision-making process. Hi. I’m on the DSP Pension and I need to be checked out by a Gynaecologist but don’t want to wait until January 2019. Can you tell me what health fund would waive their waiting period? Hi Tracey, thanks for reaching out. Medicare will usually cover the costs associated with consultations by a Gynaecologist. However, to claim you might first need a referral from your GP. For private health insurance to cover the costs of minor gynaecological surgeries (usually non-invasive procedures), a waiting period of 2 months generally apply. Health insurance waiting periods vary from insurer to insurer, so you might want to shop around to find a fund with the shortest waiting period. You can call a specialist on 1300 786 328 or fill in the quote form above and request a comparison of some of the leading health funds in Australia. How do you get around the 2-3 month waiting period for rehabilitation when opening a new claim? The health insurance waiting period may differ between health funds, so you might want to shop around to determine which one offers the least amount of waiting time. However, waiting periods are pretty standard and you generally need to serve the time associated with the treatment or services before you can claim the benefit. I am an Australia Awards Scholarship (AAS) fellow to study Masters in The University of Melbourne from January 2019 to December 2020. AAS already provided $1301.00 on my behalf to Bupa. I want to invite my 5 years old daughter to Australia for the whole my period in Australia. For her medical insurance, how much more do I need to pay? In addition, there is a possibility to invite my husband (36 years old) to come with us and stay for 2 months here initially. Then, he will return to our home. Later he may visit us for a few weeks in 2020. In that case, how much will I be charged for his medical insurance and when should I provide the charge? Also, what percentage of my medical cost will be covered by the current plan that I have been paid for? Hello Umme. Congratulations on your scholarship, that is quite an achievement! You might want to first contact Bupa directly (+61 39487 6400) and inquire about the type of cover you currently have and whether you’ll need to pay extra to add your daughter. Bupa also offers overseas visitors cover. The plan you choose/need all depends on the type and level of coverage you and your family requires. If you’d like assistance please fill in the quote form above or contact a specialist directly on 1300 786 328. I am doing a research on living costs tailored to my family needs in preparation for our move either in 2019 or 2020. We are a family of 4 (early 30ish wife + 4yr pre-schooler + 2 weeks old newborn + late 30ish me). I would like to have a current market estimate of the amount I need to pay (annually or monthly) for a full family cover (almost zero out of pocket expenses) at private hospitals. If we are trading info, I’m paying about SGD 3,700 annually (family of 4, citizens) for that level of private medical insurance here in Singapore. Hi Arman. Thanks for reaching out, I commend you on doing your research in advance. The cost of private health insurance in Australia depends on a variety of factors, for example, the state you’ll live in, whether you pay annually, monthly or weekly and of course the health fund and policy you choose will have an impact on your premium. The average cost of a family health insurance plan with zero excess for a family living in NSW can be anywhere between $537.68 to $893.20 per month (December 2018) depending on your specific requirements. You might want to start your search by filling in the quote form above and requesting a comparison on some of the major health funds in Australia. I am needing to take out private health insurance as my kids, aged 2 and 4, require speech therapy. My daughter has already started and we are paying a lot for her weekly sessions. Can I adjust my cover when needed? And when I read that there’s a $500 private hospital cover for admission does that mean I’d have to pay that every time I or one of my kids/partner go into hospital? And do I have to use my private health insurance every time I have appointments etc.? Apologies for the confusing questions. Thanks for reaching out, I’ll try and answer all your questions to the best of my ability. If you require further clarification, please do not hesitate to call our specialists on 1300 795 560. Speech therapy is generally covered under the more comprehensive Extras policies and typically has a waiting period of 2 months. Can I adjust my cover when needed: You can generally change your cover at any time. However, when upgrading to a higher level or adding benefits, you might have to re-serve waiting periods for those added or increased benefits. $500 hospital admission: I think you might be referring to the hospital excess, which is usually defined as the maximum amount of money you’ve agreed to pay if admitted to the hospital, generally payable once per person, to a maximum of twice per year. You can typically choose an excess amount of zero, $250 or $500 depending on your policy. Generally, the higher the excess you’re willing to pay, the lower your premiums. Do I have to use my private health insurance: No, generally the medical service provider will ask you whether you want to use your private health insurance or not. You might want to have a read of our article regarding How to choose a health insurance plan. Best of luck. Do Medicare registered Service Providers (ie Psychologists) need to register with each individual Private Health provider? You probably already know that health professionals generally can’t claim Medicare benefits until they’ve been issued a provider number, so they must register with Medicare. However, health care providers must have arrangements in place with a private health fund to make sure your fund will cover all the costs that your doctor charges, this is called Gap cover. Have a look at the list of each health fund and their respective gap cover doctors here. I have private health insurance with Bupa but only for emergency ambulance service which I am paying $53 yearly for the single cover. my wife is two months pregnant and my son is 1 year old and he needs to do his surgery in 2 year time. Which company’s private health insurance is best for me? Hi G, thanks for reaching out. You might want to read our article about how to choose a health insurance plan and then fill in a quote form so a specialist can give you a call to help you find a suitable policy for you and your family’s requirement, as well budget. Please note that there is generally a 12 month waiting period with most funds before you can claim any pregnancy or birth-related services. I have a Standard Hospital with $500 Excess and Platinum Extras cover with Bupa for $589 per month. This is for me (48 yo) and my wife (42 yo). I find it to be very expensive and difficult to compare. What would a similar cover cost me with other insurers? Any tips for me? With the government implementing the private health insurance classification system, it should be much easier to compare ‘apples with apples’ In the meantime, you might want to read our guide on how to compare health insurance policies. When you fill in the quote form above a specialist will contact you to provide you with quotes and help you compare. I am thinking of dropping my health insurance for me and just pay a smaller payment for my wife. What ramifications are there if I drop my health insurance? We are both aged pensioners and finding it very difficult to pay for private health insurance. We have had private health since we were married in the 1970s. Well, when you reduce your cover to a single policy (only for your wife) the biggest disadvantage would be that you’re not covered. Because I’m not aware of the type of cover you have, the premium you’re paying and the state you live in, I can’t provide you with a detailed answer. However, prior to dropping your cover, you might want to request quotes and shop around for similar cover at a more affordable price. Remember, you can switch health funds any time and won’t have to re-serve waiting periods when applying for a similar policy. Please give our specialists a call on 1300 795 560 so they may assist you in making an informed decision. What determines “family” cover – is it Mum/dad or partner & kids or can it be siblings/nieces & nephews? Family cover generally consists of an adult and their dependent(s), for example, a single parent with a child. Generally, if you’re looking for coverage for yourself and a partner without dependents, it might be called ‘Couples’ cover. However, every health fund has its own names for these combined Extras and Hospital packed cover types. Before you make a decision, perhaps you’d like to fill in the form above and request a quote specific to your requirements. My husband and son are Australian, and I have permanent residency, but we live overseas. We were thinking of buying private health insurance in Australia, is it applicable? Hi Dunia. Very interesting question. When you have Australian private health insurance and travel or live overseas, your national health cover might not protect you while in other countries. However, it’s always best to confirm this with your insurer. Instead, you might want to consider an international health insurance policy available from insurers specialising in expat health insurance. Also important to note, if the country you are now living in has a Reciprocal Health Care Agreement (RHCA) with Australia, you might be eligible for subsidised health care. The Australian government currently has such agreements with New Zealand, the UK, Netherlands, Norway, Belgium, Finland, Italy, Malta, the Republic of Ireland, Sweden, and Slovenia. My husband and I are over 60 yo and currently have health top cover (hospital and extras) with GU Corporate through my husband’s job. He is about to retire in 2 weeks time and the cover will stop as it is only applicable to corporate. We are in relatively good health, usually need regular check-ups and cleaning for dental, a couple of eyeglasses per year and a colonoscopy every 2 years. I have type 2 diabetes for which I go to our GP who does bulk billing. We are not sure how useful a hospital and extras cover would be as the premiums seem to be much higher than what we usually need. Can you recommend any policy that would be worth the money for what we currently need? Because there are so many companies and policy types to choose from, I think you and your husband might benefit from speaking to a health insurance specialist who will help you compare quotes. Please call 1300 795 560 for immediate assistance or fill out the form at the top of this page and someone will call you. Also, I just want to mention that should you switch health insurance companies, you generally do not have to reserve your waiting period for pre-existing conditions, like type 2 diabetes, and will be able to continue claiming those benefits. Can you take 2 extras covers from 2 separate companies? I can’t find an extras policy that covers me for everything I need (even on the highest level of cover). Generally, yes, you can have two Extras policies from different health funds. However, you cannot lodge a claim for the full benefit for the same service/treatment from both funds. Be sure to inform both companies about the policies that you have with the other, to ensure everything is above board. You can use our website to discover which health insurance Extras policy will suit your requirements. Best health insurance for pre-existing conditions in 2019? Generally, private health funds require that you serve a 12 month waiting period for any pre-existing condition. However, this might differ between funds and it’s best to request quotes from a variety of companies and compare which one offers you a shorter waiting period. We are a family of 5 wanting top hospital and extra cover. We’re currently with Medibank. I am 53 and my wife is 51. We have three children working aged 23,21 and 19 . We will pay for their cover until they reach 25 and then they will drop off. Medibank provides this cover but we have been recommended westfund as a viable option. Don’t know much about them your thoughts, please. Feel free to give our specialists a call on 1300 795 560 to help you gather and analyse quotes from a variety of health funds. I am semi-retired and 80 years old. I travel to Germany at least once per year, usually for 4 to 8 weeks. I usually take out Travel Insurance (which I have never used). I checked with my current Private Health Insurance if they would cover me while I am overseas and they said NO. As it is, I keep paying the top cover premium without receiving any benefit. Is there another Private Health Insurer who would cover me? I am planning to go overseas again within a few months, but this time stay longer, say up to 4 months. Hi. Generally, private health funds in Australia won’t cover you while you’re travelling overseas. However, you might be able to suspend your coverage (stop paying premiums and stop being covered) for a specific period. Please contact your insurer to inquire about this option. I’m looking for oshc as I’m a student. Which is the best company with good benefits? There are many companies offering student visa heath insurance policies, for example, AHM, nib, Medibank and Allianz. However, which health fund and policy will suit you depends on your specific requirements, i.e. the type of coverage you want (Hospital, Extras or both). You might want to request some quotes and review how the policies compare in regard to their price and benefits. What is the Lifetime Health Cover loading? How can I work out whether I have had health insurance long enough to qualify if I cannot find all my records? If you do not have an eligible private health insurance policy before the 1ste of July following your 31st birthday and then get private health cover later, you’ll have to pay a 2% Lifetime Health Cover loading on your premium for each year you did not have coverage, up to a maximum of 70%. You can visit the Privatehealth.gov website and use their lifetime health cover calculator to provide you with an estimate of what you might have to pay. Hello, I recently joined AHM top hospital and extras only to find that recently they have dropped several natural therapies from their cover e.g. Bowen, massage. What is the easiest way to find which fund gives max extras cover for alternative therapies? Since 1 April 2019, private health insurance companies will no longer offer a list of natural therapies due to the recent Government changes. Due to the health insurance reforms, insurers are no longer able to offer benefits for certain natural therapies. Please have a look at the full list of therapies excluded by visiting the health.gov.au website. Hi. My husband and I are going to live in Australia for the next 2 years, as he’s getting a Master degree. During this period we would love to have a baby, but according to the rules, we should pay insurance 3 months ahead before I get pregnant. What would it cost to get insurance for the pregnancy and giving birth plan? P.S. I am not a resident of Australia. Hi Di. Wow, please congratulate your husband on getting his Master’s degree. Generally, private health insurance companies require a 12 month waiting period before you can claim benefits for pregnancy and birth-related services. Typically, a policy that includes these services are available on a Gold Hospital plan, however, this depends on the health fund you choose. The cost of such a health insurance policy usually depends on a variety of factors, for example, where in Australia you’ll live, which company you’re insured with and type and level of coverage you’ve selected. You might want to request quotes tailored to your specific requirements and then choose the option best suited to you and your husband’s circumstances.